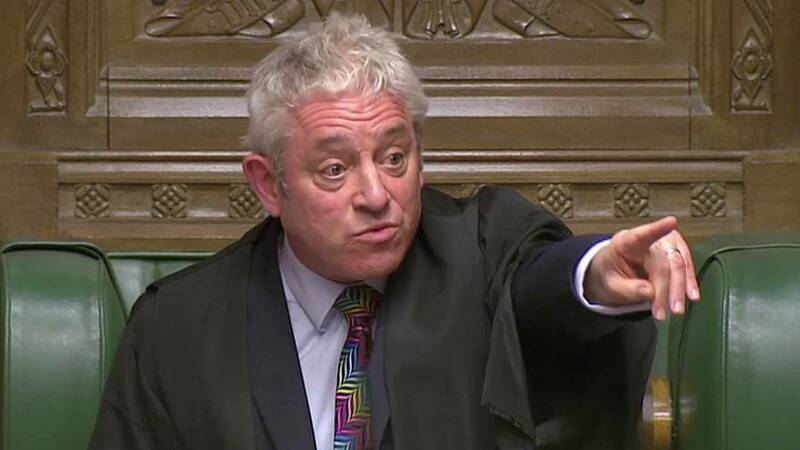 As the British Parliament debated proposed amendments to Prime Minister Theresa May's Brexit deal on Tuesday, Speaker John Bercow intervened several times to restore order. Efforts to shout down opposition leader Jeremy Corbyn and to moot useless points of order were among the issues that drew the ire of the parliament speaker. Former foreign secretary Boris Johnson was singled out for bad behaviour during the debate. "It's for the right honourable gentleman to know his place, which is in his seat," Bercow warned. Take a look at the best bits of Bercow from Tuesday's debate by clicking on the video player above.